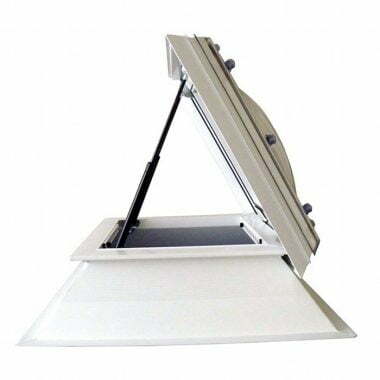 If you have a flat roof in either your home or office space, a great way to brighten up what can often be a very dull space without good lighting is to have a flat roof light installed and enjoy one of the earth’s natural resources – the sun. Flat roof lights are a great feature to have and studies have shown that people thrive better both mentally and physically when exposed to natural light. Reduce the need during the summer months to have your lighting on all of the time and let the natural light fill the room via a roof light. Want to know about our range of flat rooflights that are all manufactured onsite in our extensive facilities at Direct Rooflights? Either call us on 01670 821166 or leave an enquiry at info@directrooflights.co.uk.